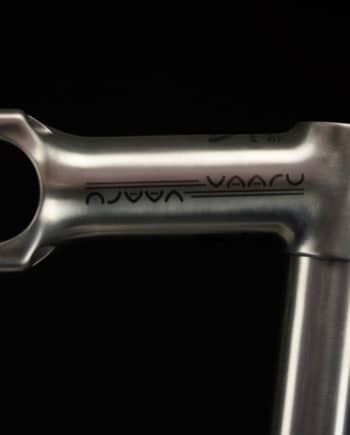 The VAARU F:140 disc forks are designed to give maximum comfort in a lightweight package, they can be used for the VAARU MPA or the VAARU V:8. 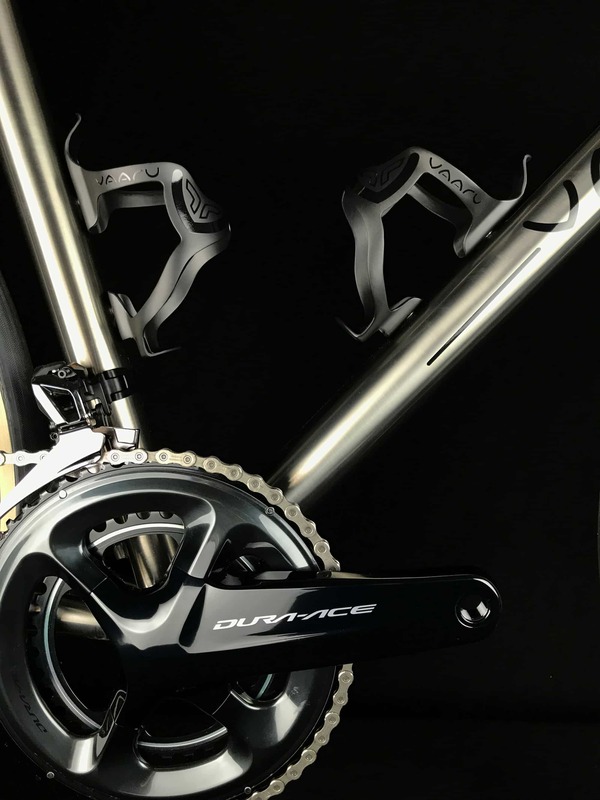 Utilising Shimano Flat Mount technology, they have a sleek look around the caliper area and are designed to fit the latest thru-axle technology. 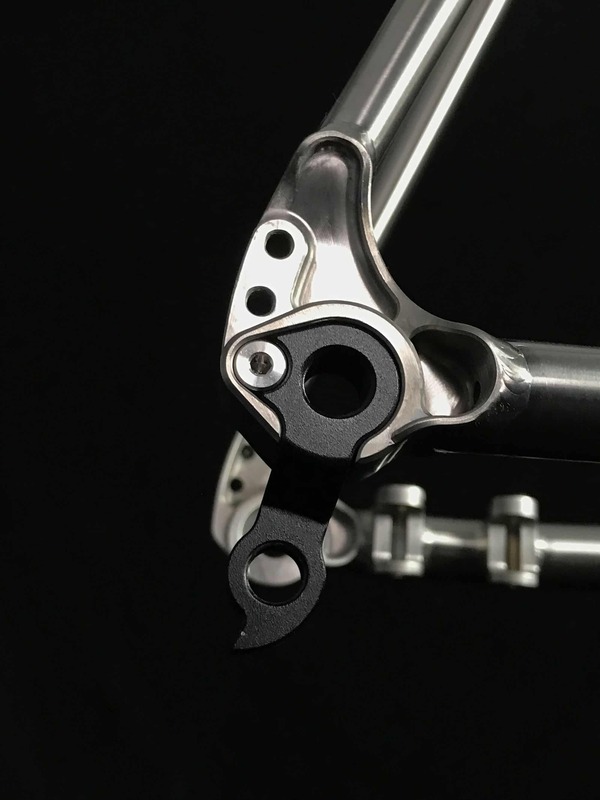 The F:140 forks incorporate mudguard eyelets and have a tyre clearance of up to 30mm. 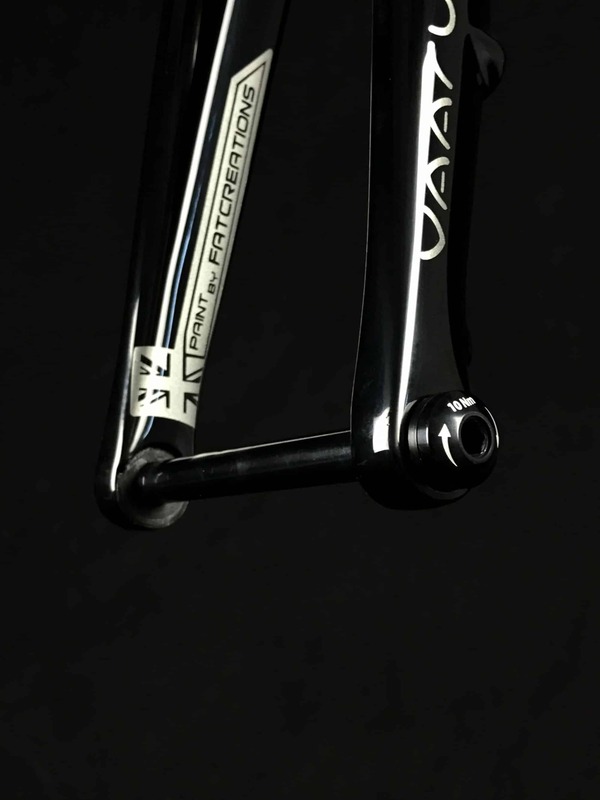 VAARU take pride in hand finishing these forks in the U.K. at Fatcreations, all paintwork is of the highest standard that can be achieved and can be custom painted on request. 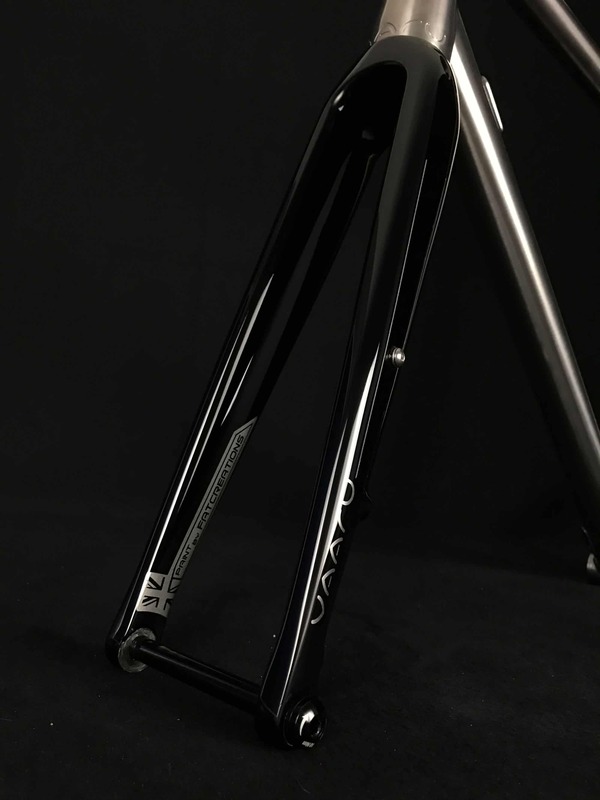 Gloss black and graphite logo paintwork as standard, painted in the U.K.